All the pharmacology and neuroscience researchers at UA make their students read this because they love it so much. It started out strong but wore out quickly. It has nothing (well, very, very, little) to do with food. The title is misleading, and the artwork reinforces the misdirection. The author is writing mostly about the effects of narcotics, hallucingens, etc. 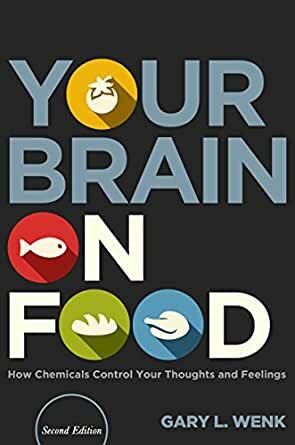 I purchased this book because it shows a stalk of broccoli as the human figure's brain- so I assumed it would show how the properties of plants ["You are what you eat"] effect brain functions. Although the information concerning drug use was valuable, it was not what the cover promised. Well written in terms the layperson can understand, this is a tremendously important read. Will change forever how you view the "food" you put in your body because of the impact it has on the brain. 1.0 out of 5 starsWhy mention food in the title? This book was misrepresented thoroughly by the title. very little of the book has to do with food. Mostly it is about how drugs affect your brain. Interesting reading, but why mention food in the title?